Aspiring Village was the venue for the inaugural “Limpic Games” – an opportunity for our energetic residents to demonstrate their sporting prowess across a range of disciplines. The games were anything but “retiring” with events including:- synchronised swimming; underwater distance swimming; shotput; croquet; tennis ball throw, Frisbee throw, and even mobility scooter racing. Ian Shawe was the stand out athlete at The Games, winning a total of 8 medals, including Gold in quoits, javelin and chess, in a well-contested final against fellow resident Oscar Verbiest. Silver medals were won by Shawe in the hotly contested paper darts throw, shot put and pool events. A synchronised swimming demonstration was a feature event of the games in the heated 13 metre swimming pool. A wonderful routine was enjoyed by residents and staff alike. 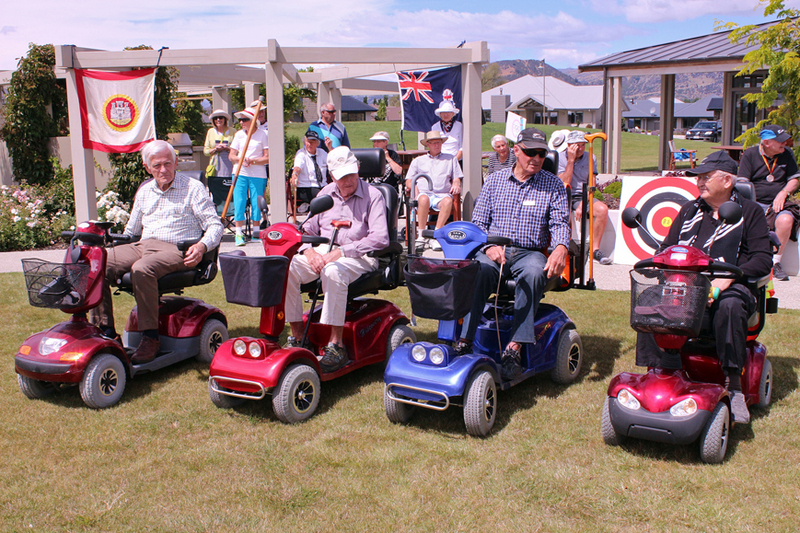 The walking frame race was another specialty event, where the performance was judged on style rather than speed. John Mercer took out the event, looking very dapper in his Sunday best. We look forward to following future events with great interest.